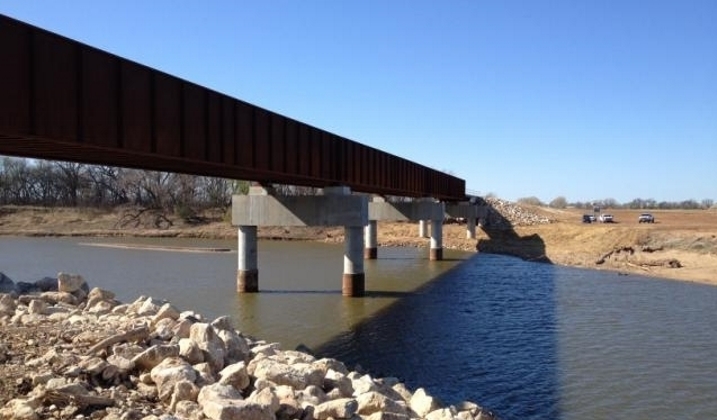 Red Rock Subdivision, Bridge 294.1 and Bridge 295.1 Projects | OCCI, Inc. 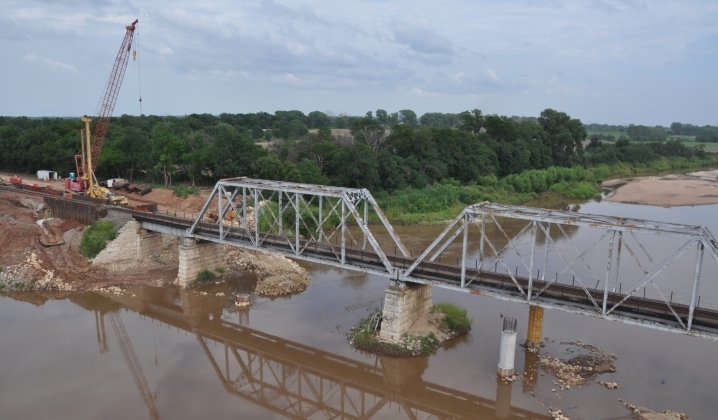 The existing BNSF Bridge 294.1 consisted of two deck plate girder spans and three 124’ through truss spans and was replaced with an in-line replacement bridge consisting of two 39’ double cell concrete spans, two 62’ deck plate girder spans and three 127’ through plate girder spans supported by CIP or precast concrete caps and drilled shafts. The construction plan for the in-line replacement of this bridge occurred during a specified track window that included placement of a causeway across the river. OCCI chose to use Self Propelled Modular Transport’s (SPMT) for both the removal and replacement of the bridge components. 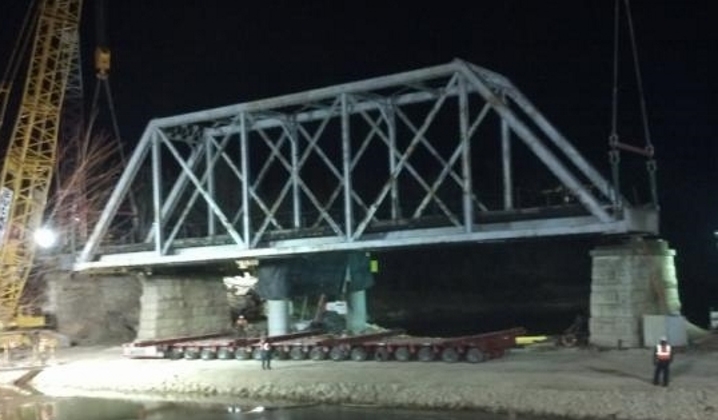 The existing truss spans were lifted by crane and placed on the waiting SPMT, then transported to the staging area one at a time where they were removed and replaced by the new TPG spans that were then transported back to the bridge and lifted into place by the cranes.